I got the nickname “Mice” on the first day of form three at Fatima College, after I cut my infamous afro and my glasses broke. A friend said, "Ay – he looking like a mice!" I liked it – it saved all those, "Why do you have two first/last names?" questions. So I told everyone, "Don't call me Mice" – to ensure the name stuck. (Fatima principal) Clive Pantin was probably the only person who didn't call me "Mice." I come from nowhere in Trinidad. 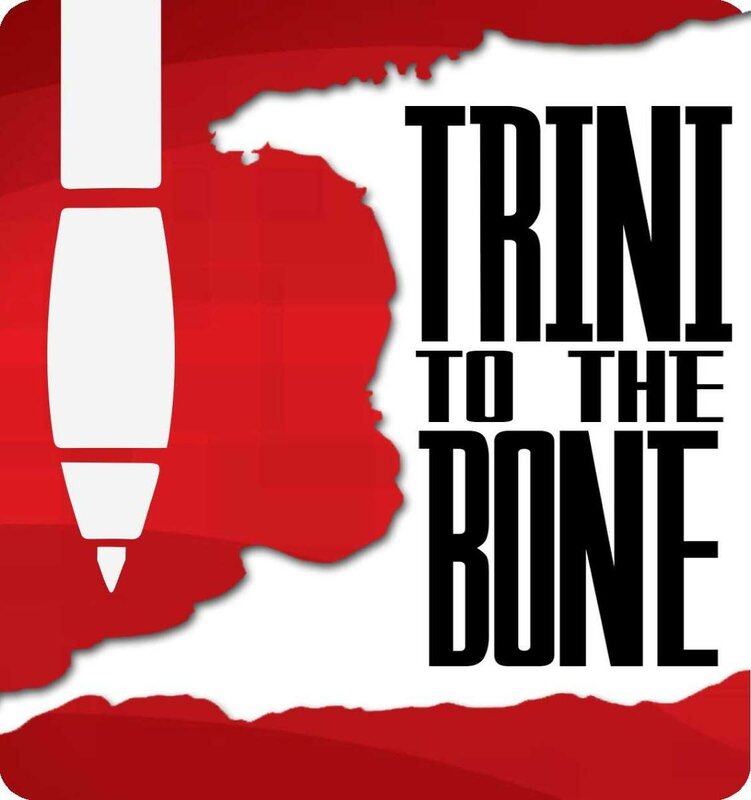 I'm not "Trini to de Bone." I'm "Trini by boat." I was born in London of Trinidadian and Jamaican parents and came to Trinidad on an actual boat when I was a few months old. Since I was small, Trinis have found I was "weird" or "different." When they find out I was born in England they say, "Oh. That's why!" When I went back to England in my early 20s, everyone there found I was "weird" or "different." Go figure. If there is once place I consider home, it’s Moonstone Drive, Diamond Vale, where I grew up, 1969-77. The Vale was magic then. remember the neighbourhood being outraged the first time someone put up a (garden) wall. I live in Maraval now. Some records changed my life: 1976; a house party on Jasper Avenue. The DJ put on this strange record starting with what sounded like acoustic guitars dipped in honey, then veered into a quasi-reggae groove, above which floated a curious tale. “On a dark desert highway, cool wind in my hair…” Hotel California by the Eagles. I was already a musician, I played the organ, and I had to learn that song. I wore out the grooves on the record trying to figure it out, but it was completely baffling. Someone wrote the chords down for me – an unfamiliar combination of majors and minors – and I tried it out on the (Fatima church) organ. (I was allowed). It sounded awful. Right there and then I knew I had to learn the guitar. One day in 1976, my mother Ursula said to me and my brother Afra, sternly, “You all are listening to too much nonsense. Here’s what good music sounds like.” She then revealed Bob Marley’s Rastaman Vibration and Third World's 96 Degrees in the Shade albums. 1977: a house party two houses away. I went early to watch the DJ set up. Also because I wanted to be there when a girl I was interested in walked in. The DJ – Dane Grell – put on a record to test his system. I was thunderstruck. Arpeggiated synthesisers burbled left and right, supported by what were clearly not but still somehow drums, Donna Summer’s voice faded in, echoing, a mere mortal trapped like a cog in a giant, infernal machine. I Feel Love, produced by Georgio Moroder, the first all-electronic record I ever heard, sounded like music done by HAL9000, the evil computer from 2001 a Space Odyssey. I instantly forgot about the girl. My love affair with electronic music began there and then. I still reference that track in classes to this day. My students are blown away by how fresh this 40-year-old record still sounds. Boxing Day 1982: I was already a professional musician with the band Fireflight. Me, my brother and a few friends spent the night liming on some cars right outside a house party, drinking ourselves to distraction. Sometime after midnight, a vocoded, ring-modulated voice announced, “Party people! C’mon, get funky.” As the 808 drums and orchestra hits of Afrika Bambaataa’s Planet Rock kicked in, I sobered up instantly. It was like hearing music from another planet. I knew I was hearing the sound of the future. Ash Wednesday 1983: I retreated to Mayaro to recuperate after the Carnival. A radio show on 95 showcased new music with no announcers. A record started with an ominous droning sound came from no synthesiser that I knew. Then an 808 drum machine beat kicked in. Followed by a blazing rock guitar riff. Then a high-pitched voice began. had to be Eddie Van Halen! Van Halen? On a Michael Jackson record? 1987, London: I heard a new soca record, Tumbledown by Merchant, as produced by Leston Paul, this shuddering, funky Moog bass line, weaving its way through a thicket of break beat-meets-soca electronic drums. Which was the same thing they told Merchant back in 1987. 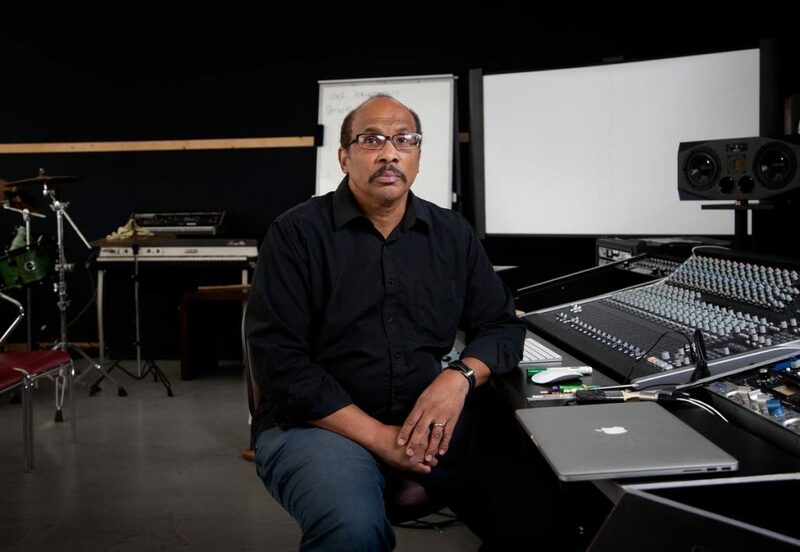 I teach, produce, record, write and write music, but teach music production specifically. I work 8 am-8 pm, generally. 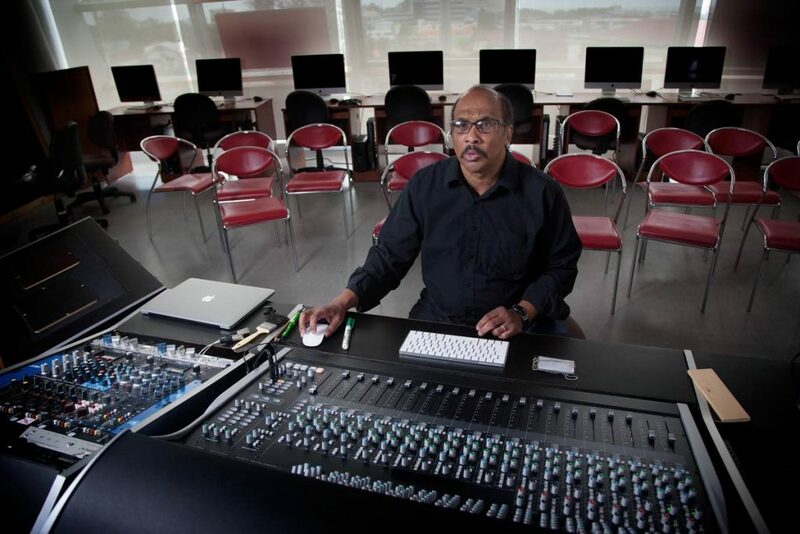 Running the music technology programme at UTT is the main gig these days. I really enjoy teaching and making good music sound great. Despite rumours to the contrary, I have not retired from producing, mixing, or mastering. I’m just not able with the last-minute, “It have to be on radio today-today” thing. Eventually, exasperated, he said, “The first time I heard about Trinidad was in 1976, when your guy beat our guy for the Olympic gold medal. “Then the year after your girl won Miss Universe. “Then another one won Miss World. “Then one of your guys won the Nobel Prize. “Then your guy did the Olympic opening ceremony. “So when I hear the words ‘Trinidad & Tobago,’ I expect nothing but the best! To be Trini should be a mark of excellence, not an excuse." Reply to "Life on a high note"